The City is required by law to hold an ethics hearing on the complaint filed by Kevin Gerrard, so far that hasn’t happened. Since no hearing has been held, I guess we are supposed to believe wellstone.org, everyaction.org, spongecell.com, ngpval.com, amazon.com, etc were all pop-ups! There is software to prevent that! The City spends a fortune on IT – doesn’t anybody know how to prevent adware? Anybody want to guess who is protecting her? What’s in the 1850 pages? Hum . . .
Posted in BloNo, Bloomington, BLOOMINGTON CITY COUNCIL, Progressives, Renner, Tim Gleason.Tagged ethics, Kevin Gerrard, Nikita Ruchards. Ghost of Christmas Yet to Come? C’mon! Look at Tari AND Nikita! Do they even LOOK like the two of them together could run an abacus? Let alone install software to filter out sites that Nikita SHOULD NOT be going to during work hours? I BET the ISP has folks who could though! 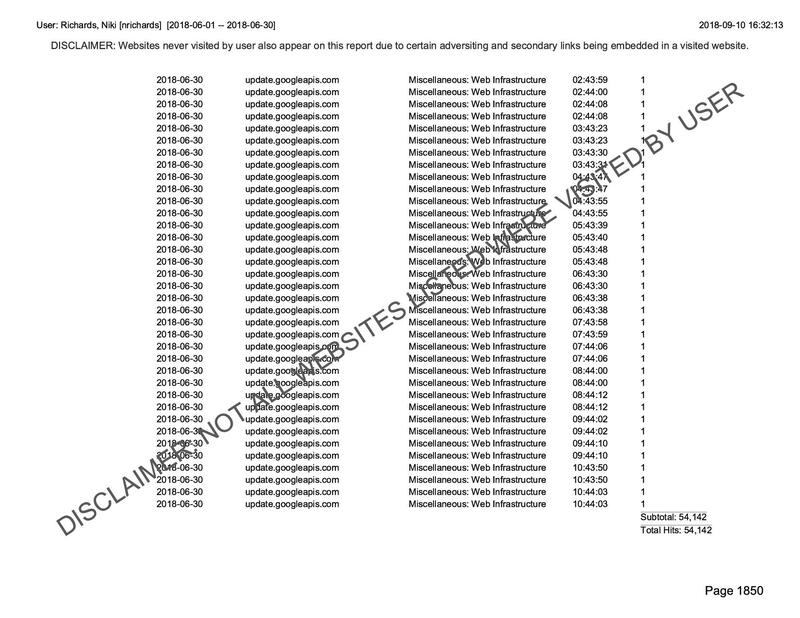 FOIA browser histories for others, then compare the rate of ‘those must have been pop-up ads’ line items. I am not a computer expert but to the best of my knowledge… pop-ups would only appear in a browser history if they were clicked on. Now I would expect that the City of Bloomington employs pop-up blockers (since pop-ups can carry all kinds of nasty cookies and Trojans) – so if it is in her browser history… she clicked on the site and spent some amount of time on it. I’m still going through the 1000 plus pages of data and I really wonder how much actual city work she did during the month of June. The number of site having nothing to with her job is amazing. She spent considerable time visiting Facebook, Google Hangout, Google Mail, Twitter, Wayfair, and Flicker just to name a few. Any other employee would of been terminated. Also, I spotted several viruses so apparently they do not keep their anti virus software up to date. More in will follow once I am complete with my audit. I have a strong feeling if you think Kaylin…………………….I mean Nikita is unethical now just wait “IF” she gets elected as County Clerk ethics will be thrown out the window and she will be like the white potbellied Sheriff down South in the 50’s over-stepping her job and letting the “AUTHORITY” go strait to her head!!! Who is “Protecting” her ???? I would think it would be obvious, (and you know it is) to even the most ardent Crazy Tari and liberal elite establishment supporters here…. Snow Flake and her 7 dwarfs are protecting her… But seriously… does anyone know any private company who would ignore the public disclosure of one of their employees working this many hours on (private) things to this extent on their time? None of Nikita’s superiors or Crazy Tari will do anything to upset her candidacy this close to the election. She is untouchable at this point. She is their diversity darling and unless she robs a liquor store or gets caught with a bag of crack, they will support her until hell freezes over. As long as they support Tari’s participation in the communist takeover of our Republic, Tari and friends will cover and let them get away with just about anything. Diversity of thought be damned, the only diversity allowed is what is on the outside. Ignorance of fact and uninformed people are protecting here. DSA members are protecting her. That’s alot of people, need more? Nikita is the “right fit” for Tari so guessing who is like saying you get three guesses and the first two dont count! Her full-time job is campaigning, both for herself and Tari & Co. I suspect that she operates her consulting company out of City Hall as well. Sad. You are probably correct…. all on the taxpayers’ dime… As a white male I was never during my working career awarded with of privilege to run a political campaign and a separate business during work hours. I am thinking about starting a new advocacy group, WGM or White Guys Matter to pressure businesses and governments to recognize how we are being treated differently. WGM needs to throw off the yolk of work, accountability and the need for qualifications, so every white guy can do what he wants, when he wants on the job with out fear of job loss or legalities. I hope to bring real power to White Guys everywhere soon! We are ALWAYS hearing the words today “White Privilege” being tossed around and spewed out of the mouths of the liberal left mainstream media YET when taking a test for a Federal or state job because of Affirmative Action blacks get several points given to them because they are black, so even though the white person may be more qualified for that job that black person may get the job because of points given to them because they are black. All state colleges have Black Student Unions but there are no White Student Unions. In Washington D.C. there is a Black Caucus in our Congress but no White Caucus. On our TV’s there is a BET (Black Entertainment Television) yet no WET (White Entertainment Television). If a White person is discriminated because of their race we have no organization to go to for help yet the blacks have an NAACP that fights for their Rights. When poor white people are in need of welfare and food stamps to help them get on their feet they have to apply several times to get it yet in most cases the black person in need gets it the first time applying………………………looks to me like today’s society is in no way White Privilege but more like Black Privilege especially after 8 years of the race-hustling community agitator in our White House and now we see all these Boot Camp trained Obama-Bots pushing the same American Heritage hating, Saul Alinsky Agenda! Previous Post Gleason is going!